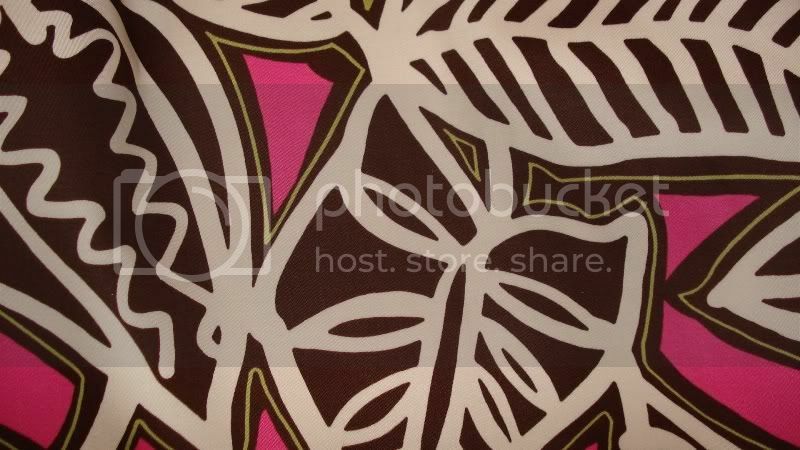 Leaf Motif in Hot pink, chocolate, and ivory. Bottom weight goods. 97 cotton/ 3 cotton. 45" Wide.